Whenever you pour yourself some good 'ol beer, we bet that the first thing you do is tip the glass slightly on its side so that it won't produce as much foam as it should. 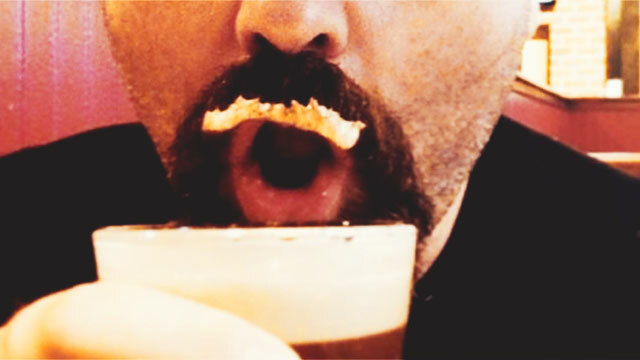 Or maybe you scoop out the froth because you get annoyed whenever it sticks to your mustache. Drop that spoon because the foam on your pint of beer has its benefits, after all. Aside from enhancing the flavor of your ice cold beer, the suds are there to prevent the fluids from creating waves (aka sloshing) whenever your glass hits the glass of your bro's drink each time you toast. Rewinding the scenario in your head? That's why there's minimal spillage whenever you say, "Cheers!" According to a study published in the journal Physics of Fluids, the foam or capillary action is what slows down the waves in your beer draft. By the way, capillary action is what causes fluids to move even in tight spaces—like the water from the roots of a tree moving up to its branches. The reason your beer doesn't move as much as it should is because the foam acts as a barrier to keep the best part of your drink inside the glass and into your belly. So before you decide to stop your beer from foaming, think of how much beer you didn't waste because the foam stopped it from spilling.